We all know our bodies need exercise to keep fit. The brain needs exercise as well. Regularly engaging in mentally stimulating activities, like crafts, can have long-lasting positive effects. Senior citizens need these activities to maintain mental dexterity to avoid losing cognitive skills. Creative endeavors are an excellent source of mental stimulation. Arts and crafts such as baking, quilting, and scrapbooking boost both physical and mental dexterity. 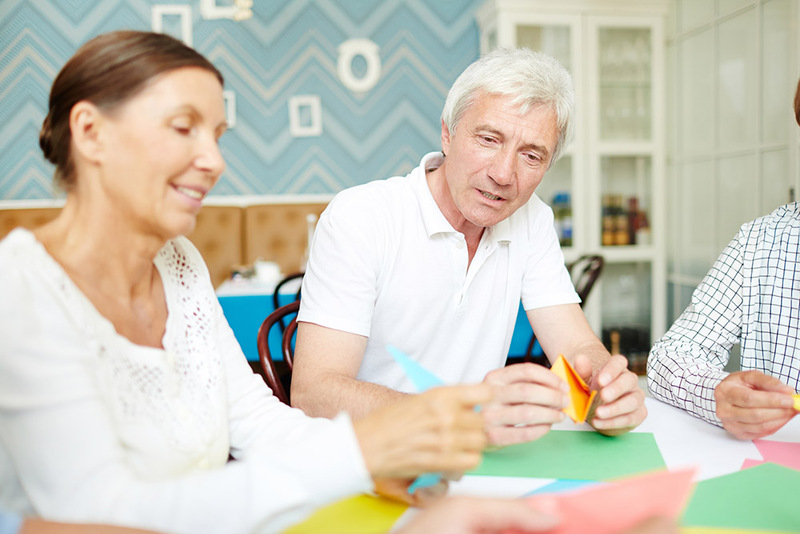 Crafting makes a fun group activity that encourages social interactions (which also strengthen mental health). There are plenty of crafts and hobbies that are inexpensive and easy to put together. It’s about spending time doing something you enjoy, and you’ll have a nice gift for a loved one when you’re done. Now on to the craft idea! Making your own decorative yarn balls is a fun craft that is easily done in a group. Once dry, these yarn balls hold their shape and make excellent home decor. Consider hanging them by a thread in the kitchen window. Or place them on the coffee table in a decorative basket. Making these crafts provide mental and creative stimulation and well as fine motor practice. 2 Blow up the balloons. You can do various sizes, and keep them small to maintain a spherical shape. 3 Spray balloons with cooking spray to avoid sticking later. 4 Combine hot water and cornstarch in a mixing bowl. 5 Thoroughly mix in an entire bottle of school glue. 7 Starting at the knot of the balloon, wrap the balloon with wet yarn. Create a nice, even pattern that leaves small openings. 8 When you are satisfied with your yarn ball, cut the yarn and make another! 9 Allow the yarn balls to dry completely. This may take 24 hours. 10 Once the yarn is hard and holds its shape, press on the balloon to separate it from the yarn. Then pop and remove. After the balloon is removed, let the balls continue to dry undisturbed for another couple of hours. Crafting DIY yarn balls is a fun summer activity. Try it at home and share this article with your friends, so they can try it, too!